A complete guide to understanding violins, violas, strings, and bows. 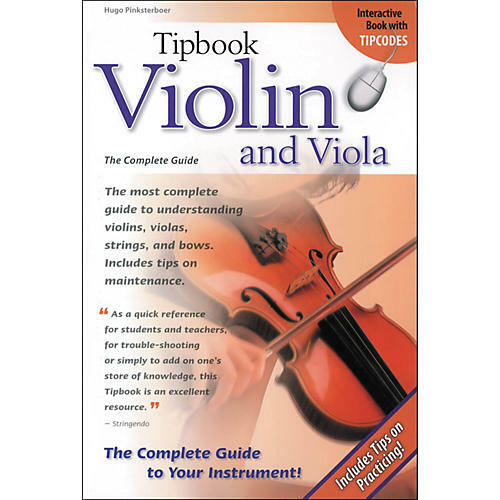 The Hal Leonard Tipbook - Violin and Viola is a totally expanded edition of the 2005 original. The new 6"x9" format offers string players at all levels essential information on auditioning and buying a new instrument, bow, and strings. Chapters on maintenance and tuning are included, as well as background information on the family, the history, and the production of the instruments. Also includes a glossary, an index, practice guides, and helpful Interactive Tipcodes that link you to online audio examples. Get this quick reference that's ideal for violin students and teachers when you order today.